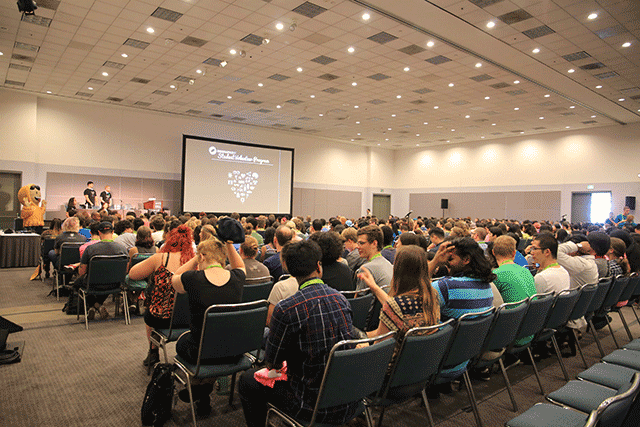 As the largest and most influential annual conference and exhibition in computer graphics and interactive techniques, SIGGRAPH 2017 is popularly ongoing (30th July – 3rd August). 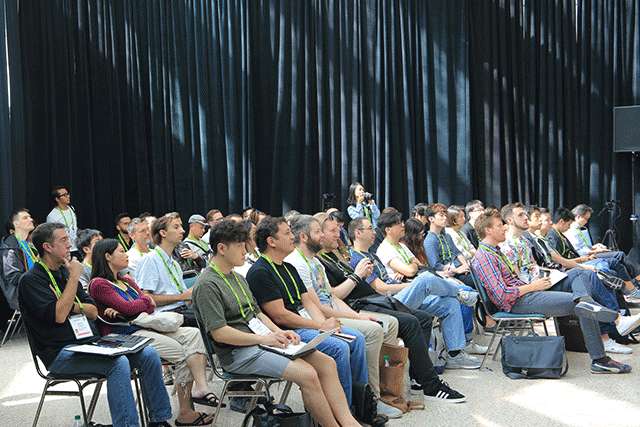 As one of the most popular render farms in the exhibition, and honorably invited as the speaker of SIGGRAPH 2017 conference, Fox Renderfarm is holding hands with SIGGRAPH and having several deep cooperations this time. 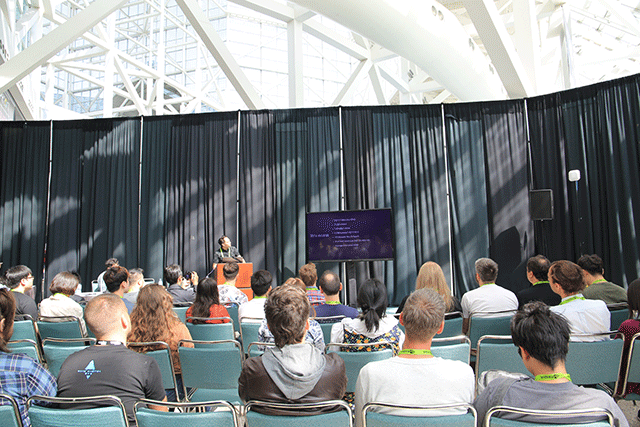 Benjamin Cheung, the VP of Fox Renderfarm, was invited by SIGGRAPH International Resources Committee to be a speaker for the subject of “CG in Asia”. Ben shared the development of CG industry with speakers from Digital Idea in Korea, SQUARE ENIX, CG-ARTS Society and OLM Digital in Japan. Ben focused on the topic of current situation and development of Chinese film industry, and made a point that China has huge potentials in film industry. 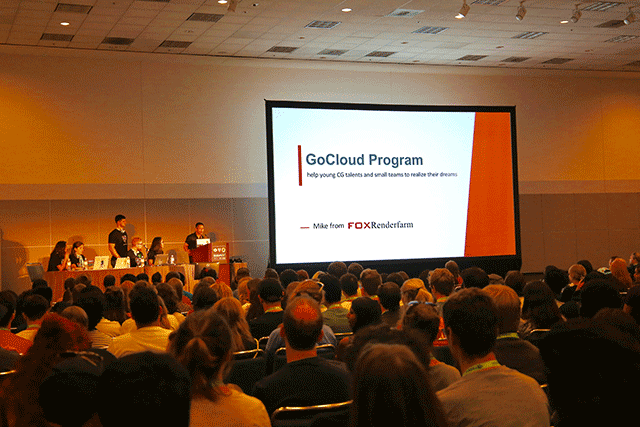 Mike, the marketing director of Fox Renderfarm, was also invited to present in the conference of “SIGGRAPH 2017 Student Volunteer Program”, Mike introduced Fox Renderfarm and explained how powerful the rendering ability is, as well as the GoCloud Program which aims to help potential CG students, creative small teams and charity groups to realize their dreams. At the end of the speech, Mike even revealed an amazing news, it is about a self-developed online platform ( Vivue: http://www.vivue.io ) which is designed to help directors, producers, artists, designers, managers and media groups to save huge time on video collaboration. The Vivue is currently available on webpage and iOS App. Fox Renderfarm is officially authorized by SIGGRAPH to distribute the limited number of collectible bobble head Pixel toys at the SIGGRAPH 2017 conference and exhibition. These keepsakes will not be available for sale, but will be given away in a variety of ways throughout the conference and exhibition, including at Fox Renderfarm booth 243. Besides, there are a lot of other gifts available for visitors by playing the dart game on Fox Renderfarm’s booth. 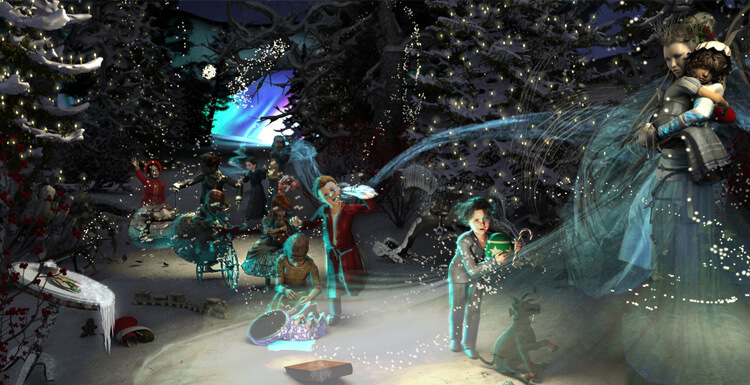 The confidence of SIGGRAPH for Fox Renderfarm’s leading position in render farm industry along with the outstanding contribution, is the most important reason that SIGGRAPH decides to start such deep cooperations with Fox Renderfarm. 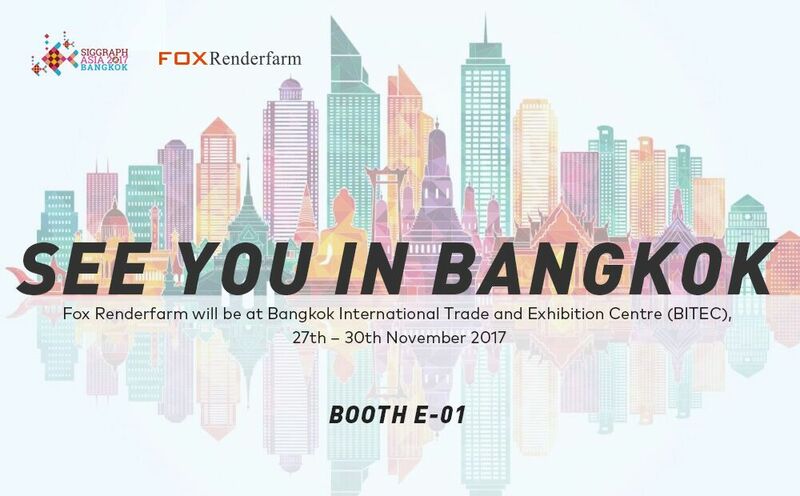 And Fox Renderfarm really appreciated the awesome opportunity to present themselves in front of so many international 3d animation and VFX production companies. 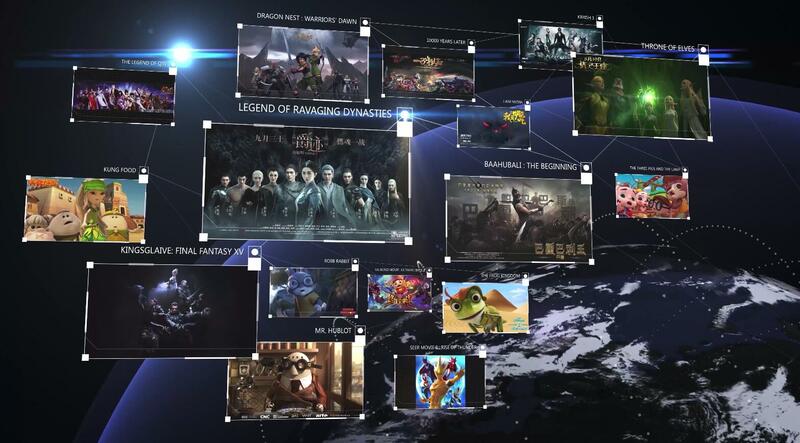 Let’s take hand by hand to help enhance the development of CG industry.